NOTE: Due to size and/or weight largest plants may require additional shipping charges...please inquire. 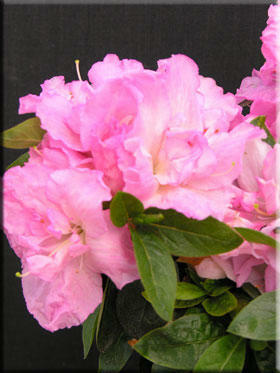 Comments: 3-4 inch, deeply ruffled, semi-double flowers are light pink fading to white and appear late April into May. Often sold as 'I'll Be Damned' and as "fun" as the name is it is incorrect.